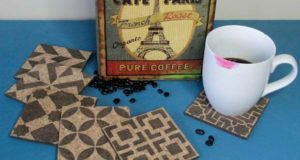 In the spirit of our most celebrated summer holiday, Fourth of July, Danielle from Finding Silver Pennies has shared a fun DIY project that she did using Royal Design Studio Stencils, Annie Sloan Chalk Paint® and wood. 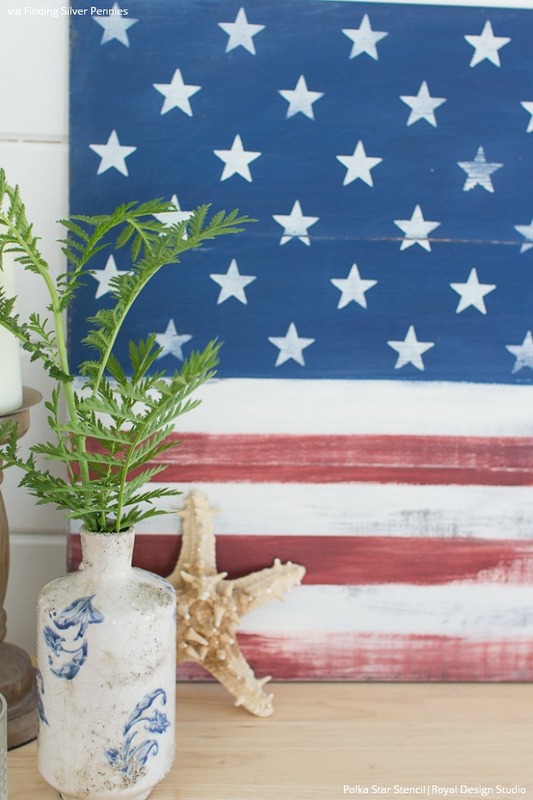 Instead of purchasing a rustic wood American flag from an expensive store like Ralph Lauren or Pottery Barn, she shares that it’s actually quite easy to make your own – plus you get to say that you made it with your own two hands! Step 1: Saw your wood to create planks. Attach these planks together by drilling corresponding holes and securing them with wood glue and dowel joints. Then use clamps to hold the attached planks together on the saw horse. Let dry overnight. Step 2: Stain the wood with General Finishes Gel Stain with a brush and use rags to wipe away the access. Now it looks like old, reclaimed wood! Step 3: Apply the shellac to prevent any dyes from bleeding through the next layer of paint. Let dry for 15 minutes. Step 4: Section off a square shape on the top left corner of your wood planks. 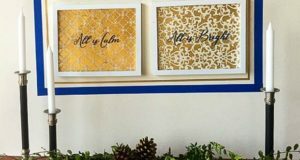 Paint the square section with Napoleonic Blue Chalk Paint®. Step 5: Paint the remaining section with a basecoat of Old White Chalk Paint®. 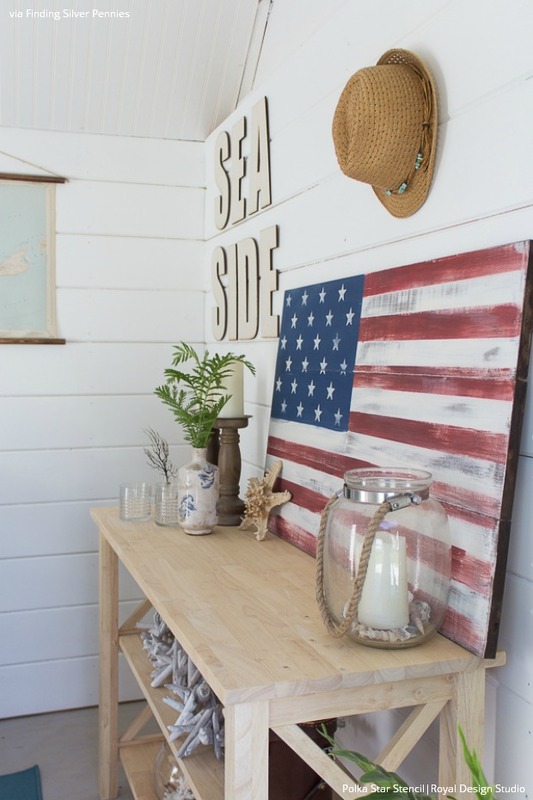 Use a dry brush technique in some areas to create that rustic, distressed look. painted areas using painter’s tape. Paint alternating stripes with Primer Red Chalk Paint®. 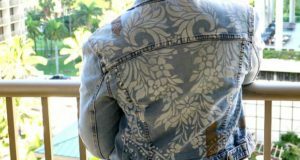 Use a dry brush technique in some areas to create an instant “worn” look. 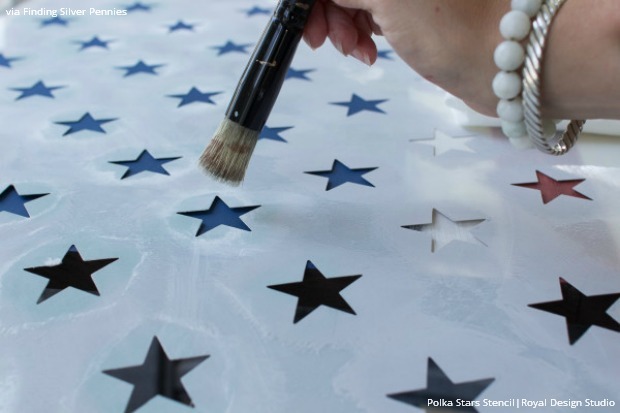 Step 7: Line up the Polka Star Stencil on the blue painted section. 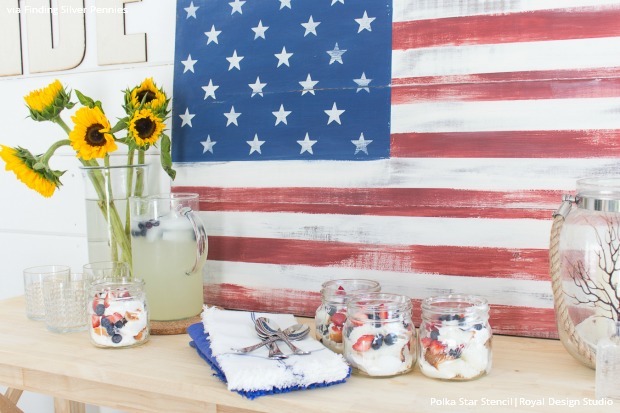 Load your stencil brush with Old White Chalk Paint® and use a paper towel to offload most of the paint from the brush. 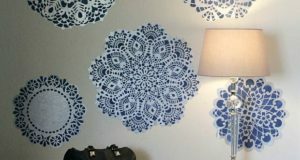 Stencil the design in a circular motion. Remove stencil and let dry. 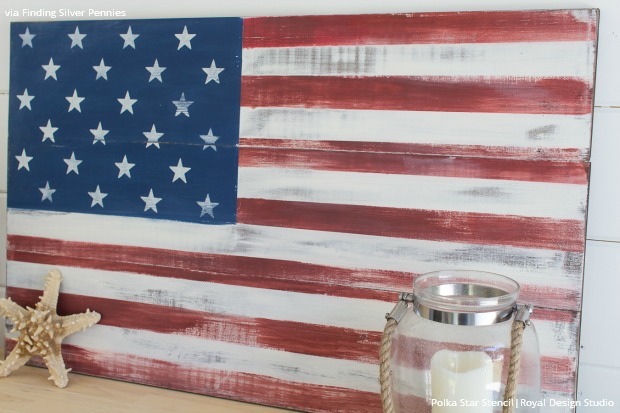 Step 8: Use the sanding block to distress your painted flag and give it a warm, weathered look. 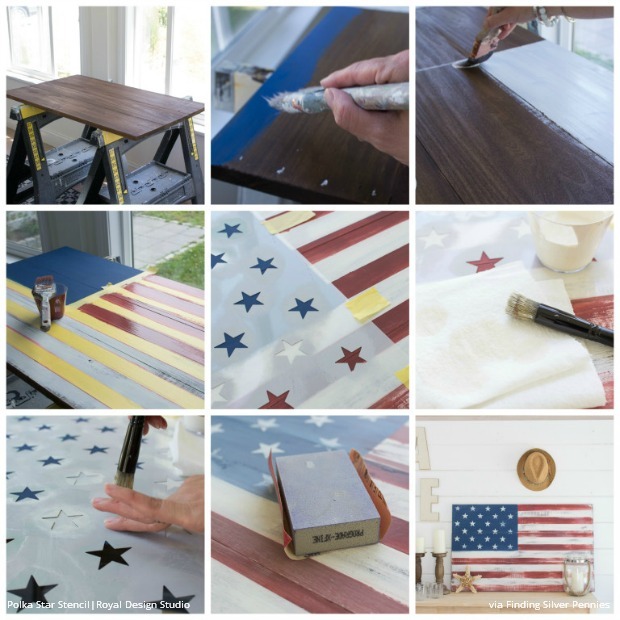 If you want an alternative idea for the pallet flag, like a darker wood color, then you can stain the whole pallet before painting it. Here is one that my husband stained first. Fine way of telling, and fastidious post to obtain data on the topic of my presentation subject matter, which i am going to deliver in university. Have you got any experience? prise en charge champix mutuelle While the original bill, passed nearly three years ago, directed the royalties from future contracts to social programs in general, politicians have battled since over more focused spending of an expected oil bonanza, holding up the sale of new oil rights and threatening to slow oil investment.